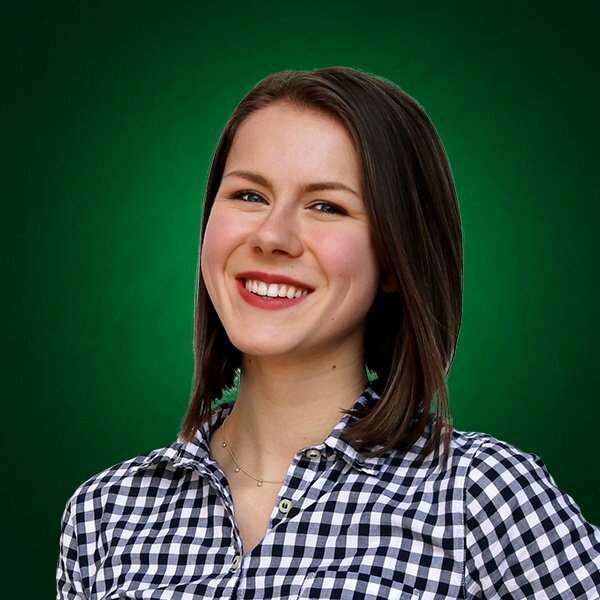 So you'd like to grow your existing business. 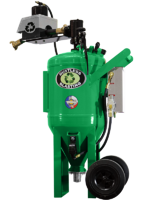 You're always looking for ways to make your business more profitable, and you can achieve that by adding Dustless Blasting® equipment. But which blast pot is the best choice? 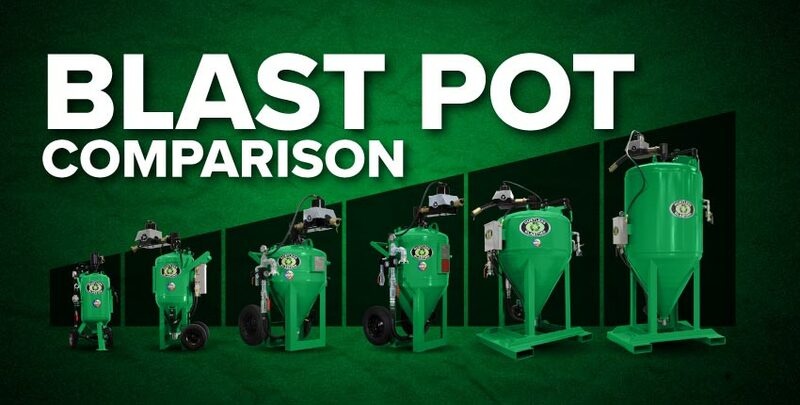 Which blast pot is best for your business? All of our machines are capable of the same process, but some models are more productive than others. Choosing the right one will maximize your time — and your profit. As the blast pot size increases, so does the size of the piping and nozzles. When you use a larger nozzle, you create a larger blast pattern. This covers more surface area at once, increasing your productivity while blasting. 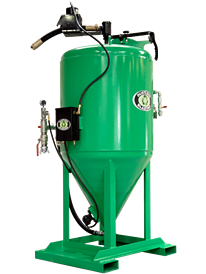 Also, our larger blast pots offer a greater continuous run time. This means you'll have to stop and refill less often, saving time. 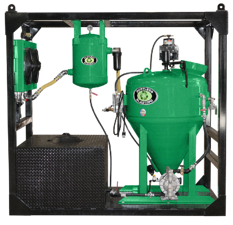 Keep in mind that our standalone Dustless Blasting® blast pots are generally best for existing businesses that already own a powerful air compressor. For the most part, these blast pots are for stationary applications. 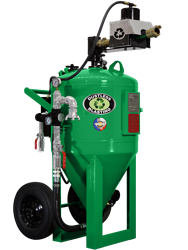 If you're interested in starting a mobile business with Dustless Blasting equipment, read our comparison of mobile units instead. Small companies with minimal cleaning challenges. With a 15-minute continuous run time, the DB150® is a good choice. It replaces hand tools like grinders and sanders, and is the most lightweight and portable of our machines. It requires a 60+ CFM compressor. Auto restoration shops, from classic to modern-day cars. Powder coating companies, such as wheel repair companies or appliance coating companies. Concrete companies, such as residential driveway/pathway contractors, or headstone and monument etching companies. Municipalities, who need to clean up fire hydrants, remove curb paint, etc. Garbage companies, who need to brush blast dumpsters or garbage trucks. Disaster restoration companies, who deal with mold abatement or fire restoration. The DB225® has a 30-minute run time, and is good for smaller projects. It is completely portable through doorways and staircases. The DB500® is a step up in productivity, and is the most popular of our standalone blast pots. A multi-purpose workhorse, the DB500 makes a great choice for most commercial work. It uses a #5 nozzle and offers a 60-minute run time. Need a machine that keeps up with your busy schedule? The DB800® offers a 90 minute continuous run time and uses a #6 nozzle for greater productivity. 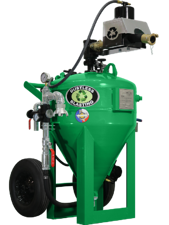 These types of companies are often tightly bound by environmental regulations, and Dustless Blasting is the perfect green solution for them. The DB1500® offers 2–3 hours of continuous run time to tackle large projects. The Offshore version includes forklift pockets and lifting eyes. This makes it easy to transport to and from an offshore rig. Our largest machine, the DB3000® can tackle even the largest industrial projects with a 4–6 hour continuous run time. If you're still wondering which machine you should choose, feel free to contact us at team@dustlessblasting.com or call 713-869-2227. Don't forget to download our quick comparison chart below, which include pricing and specs!